Deborah Needleman is a force in the home design world. She currently serves as the editor in chief of The New York Times’ T Magazine. She previously was the editor in chief of WSJ. magazine, and created one of our favorite weekend pleasures—Off Duty, the Wall Street Journal’s Saturday lifestyle section. Prior to that, she was the founding editor of the short-lived, but much-loved Domino­. 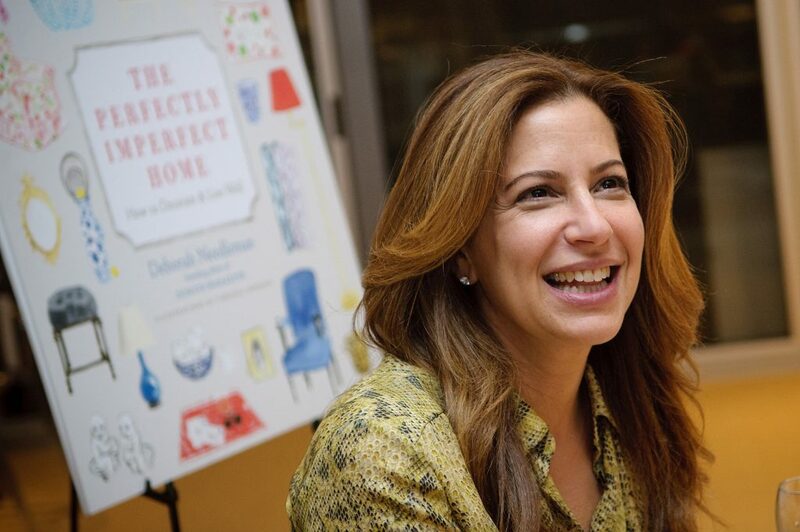 She is co-author of The Domino Book of Decorating and most recently, author of The Perfectly Imperfect Home, which she celebrated with a book signing in our Washington, D.C. showroom (see photos here). Not making a furniture layout plan before buying furniture! Beautifully designed books: Penguin series from the 50s, books illustrated by Edward Gorey; first editions of garden books; and Edith Wharton. Janet Flanner’s collection of her New Yorker pieces from the 20s and 30s, Paris Was Yesterday. A bit arch and gossipy for me but I’m learning about a lot of brave, nutty, eccentric women. Translating things I find interesting into magazine form in a way that I hope is interesting to other people. And getting to start over every month!